There’s always something exciting happening at Pier Park. From special promotions at your favorite stores to entertaining seasonal events, Pier Park has fun for the whole family all year long. 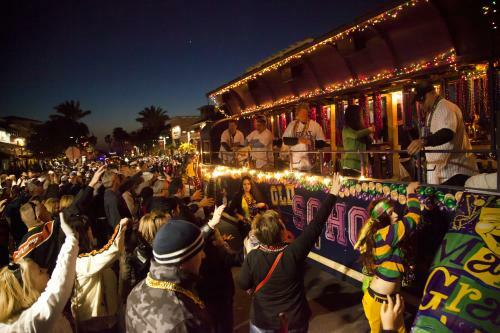 Turn up for Mardi Gras with this festival at Pier Park the weekend before Fat Tuesday. 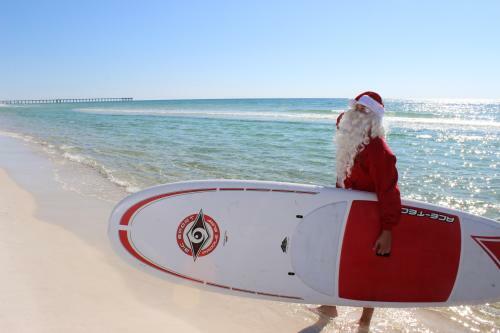 Voted one of the top destinations to celebrate this much-loved holiday, the Panama City Beach Mardi Gras and Music Festival is a family friendly event, so both kids and adults can join in the revelry. Enjoy live music, the Festival Village, Kids’ Fun Zone, Kids’ Parade, a 5K run, costume contests and fireworks! Don’t miss out on the main event of the festival-- the Krewe of Dominque Youx Mardi Gras at the Beach Main Parade right on Pier Park Drive on Saturday afternoon! Want the perfect vantage point to see the aerial fireworks display launched from the M.B. Miller County Pier during the Star Spangled Spectacular? Pro tip: make your reservations in advance to dine at one of the many Pier Park restaurants to enjoy food, drinks, and the pyrotechnics celebrating the 4th of July! With fall comes one of the most popular of events at Pier Park--Pirates of the High Seas Fest during Columbus Day weekend. This event draws visitors and residents alike to shiver their timbers with fun in all things pirate with a treasure hunt, parades, live music and fireworks! Treasure Hunt: Gather together your mateys for a treasure hunt around the Grand Lagoon. Navigate to participating businesses on the treasure map and get your required stamps the week before the event and enter for a chance to win in the raffle drawing on Sunday. Friday: Bring the kids to enjoy activities, the Festival Village, the Little Pirates Fun Zone and the Children’s Parade. The festivities continue the Opening Ceremonies, Treasure Drop and then the Second Line Parade. Per tradition--join in behind the revelers and musicians. Fireworks burst in the air in the evening to close the day’s events at Pier Park. Saturday: Return on Saturday for live music and more pirates. The Pirate Invasion is a grand theatrical performance and is followed by the main parade. 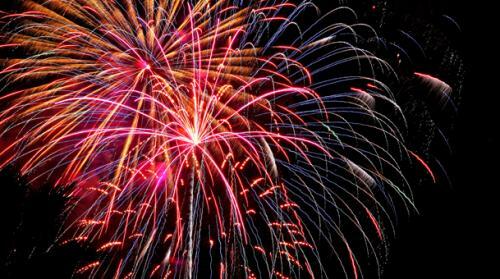 Cap off the Pier Park events with the aerial fireworks show in the evening on the pier. Sunday: Head over to the Grand Lagoon on Sunday for the final day of the Pirates of the High Seas fest. Activities and entertainment include musical performances, storytelling and a magic show. 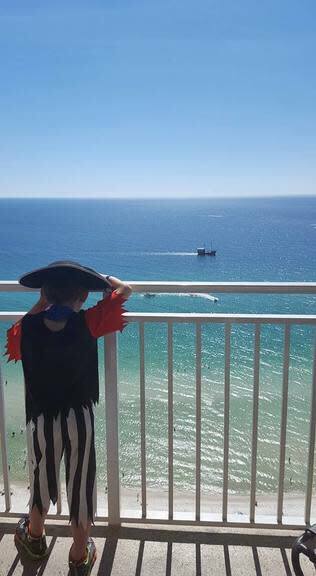 The signature spectacle is the Pirate Battle out on in the Grand Lagoon and Marinas, where you can watch the Flotilla drive out the Pirates. If you’ve entered the Treasure Hunt raffle, the drawing will be held Sunday and you must be there to claim your booty! Plus, don’t forget to bring your jaunty animal sidekicks for the Pirate Pet Parade. Stick around into the evening for the final night of fireworks over the Grand Lagoon. 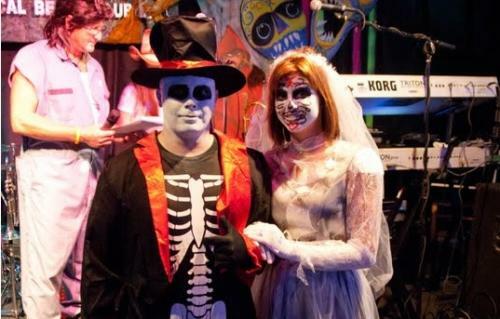 October means Halloween, and Pier Park has Halloween fun and festivities for all ages. If you’re past the trick or treating age, but still like to have a good time, come to our Brew & Boo Halloween Beer Festival. Stroll along Pier Park Drive while sampling beers from local and national breweries and enjoying live music. You can even buy a VIP pass and receive a commemorative glass, the chance to sample premium brews, and entry into the event 30 minutes before the general public. For the kids, bring your little ghosts and goblins to Pier Park for Mall-O-Ween. In the early evening, children 12 years old and younger can trick or treat safely on Halloween night. Participating Pier Park stores will be handing out candy to all trick or treaters. In November, don’t miss out on Pier Park’s annual Shrimp, Crab & Oyster Festival. Sample a variety of delicious shrimp, crab and oyster dishes from Pier Park restaurants. Purchase a wristband in advance or on the day of the event at the Pier Park mall office. A wristband allows guests to visit the various restaurant tents and can try small plates from participating Pier Park restaurants. 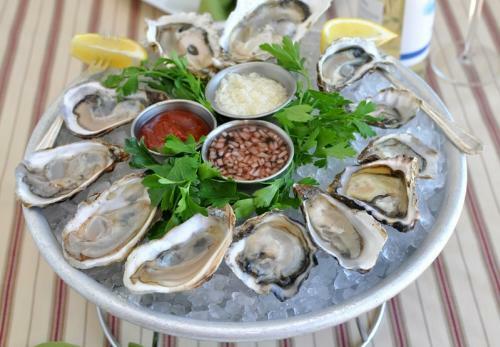 Seafood lovers won’t want to miss these delectable delights. Santa’s Waiting! It’s that time again when the air gets cooler, we sip mugs of steaming hot cocoa, and your little ones can’t wait to tell Santa what they want for Christmas. Pier Park is excited to have Santa everyday starting the day after Thanksgiving, through December 24th, Christmas Eve. Get your child’s picture taken with Santa, and make a memory that will last a lifetime. Kick off the holiday season at Pier Park, and create a family tradition for years to come. Put your paws in the air! If your kids are more of the furry variety and have four legs, they can have their picture taken with Santa, too. Bring your pet to Pier Park for a barkworthy photo session with Santa at this special event before Christmas, and take home a memory that you can always treasure. Plus, be sure to enjoy the many holiday shopping events at our stores with savings to make sure everyone on your holiday gift list is happy. 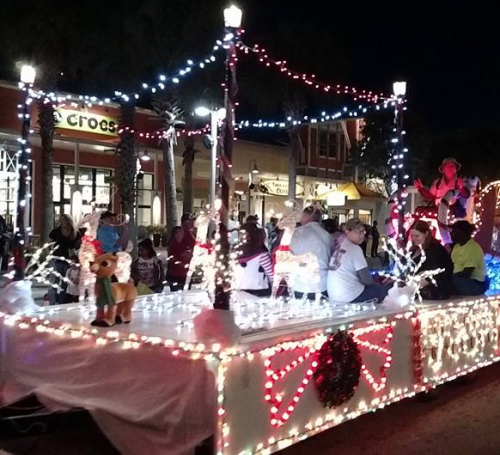 Every year, the Panama City Beach Optimist Club holds a Christmas Parade with dozens of entrants. This nighttime parade includes marching bands, floats decked out with Christmas lights and decor, fire trucks and sweet custom automobiles! Don’t worry about candy flying through the darkness to the spectator lined roads around Pier Park--all candy is handed out by parade walkers. Get into the holiday spirit with this special event for the whole community of residents and visitors alike. The holiday season may be coming to a close, but there’s still time for one last bash. 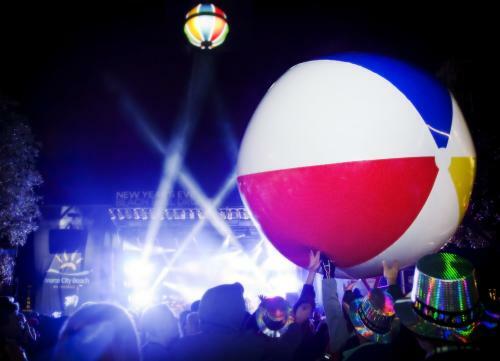 Come to Pier Park for the Annual New Year’s Eve Beach Ball Drop. Celebrate New Year’s Eve by the beach as we commemorate the 10th anniversary of this exciting tradition. Admission is FREE to this thrilling event and you can enjoy live music, a breathtaking fireworks display and 10,000 beach balls dropped into the crowd on Pier Park Drive. Bring the family and your closest friends to ring in the New Year at Pier Park! No matter what time of year, Pier Park has an event that everyone can enjoy. Good times are always included. Just grab your friends and family, and be ready to have some serious fun!